On a tour where not much has gone right for wicketkeeper-batsman Quinton de Kock as well as his team South Africa, the promising professional has somewhat managed to enter the record books. De Kock has now become the quickest gloveman to have 150 dismissals under his belt in the longest version of the game. The Proteas star de Kock achieved the feat during the ongoing second Test against Sri Lanka in Colombo on Sunday (July 22). 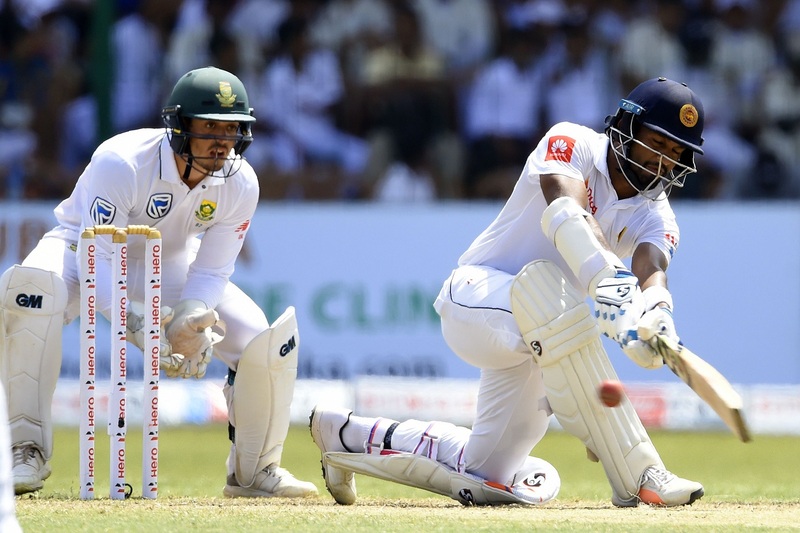 De Kock’s 150th dismissal was Dimuth Karunaratne when he caught the ball behind the stumps off paceman Lungi Ngidi in the morning session at the Sinhalese Sports Club (SCC) Stadium in Colombo. Playing his 35th Test, de Kock became the fastest to reach the milestone while surpassing Australian veteran Adam Gilchrist. The former Australia wicketkeeper-batsman had reached the feat in his 36th Test, one more than what de Kock took. 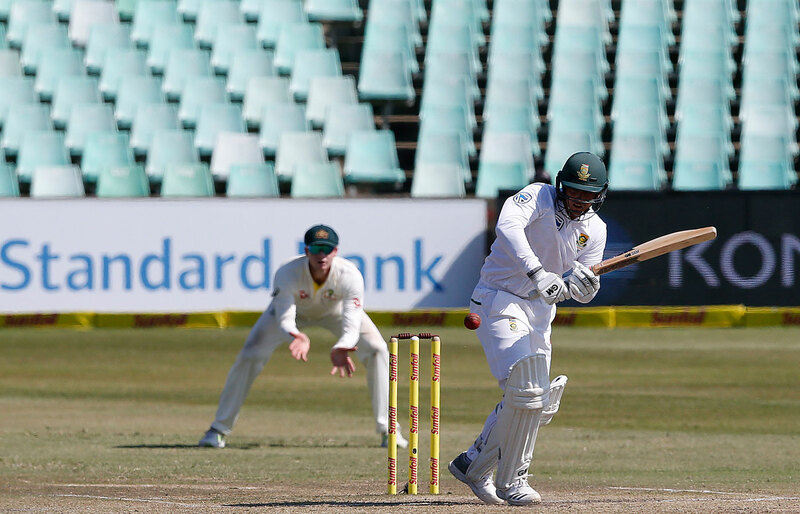 The 25-year-old de Kock came into the Test with 148 dismissals to his name. In the first innings, de Kock had caught Karunaratne for 53 off Keshav Maharaj, who became the second South African to take nine wickets in an innings of a Test match. De Kock is one of the mainstays of this South African team since making his debut against Australia in 2014. So far, he has scored 1,885 runs with the help of three centuries and 13 fifties. Coming to the game, the Islanders continue to dominate the visitors who look completely out of sorts on spin-friendly tracks. Already one nil up in the two-match series. Sri Lanka were 237 for four at lunch on day three, thus extending their lead to a mammoth 451. While filing the report, South post 56 for one in 15.4 overs. In the first innings, the hosts had scored 338. In reply, South Africa were all out for just 124. Angelo Mathews and Karunaratne started positively as Sri Lanka extended their lead. Ngidi broke the stand by dismissing Karunaratne for 85. Mathews and Roshen Silva then took Sri Lanka to lunch without any further damage. After the Test series, the two teams will play five One Day Internationals and a one-off Twenty20 International.